Our Craft Beer of the month club searches out exceptional craft beers from around the country and then delivers the monthly beer club selections direct-to-you or your gift recipient's door. You can choose an ongoing beer club membership or Craft Beer Club gifts to ship monthly, every-other-month or even quarterly. 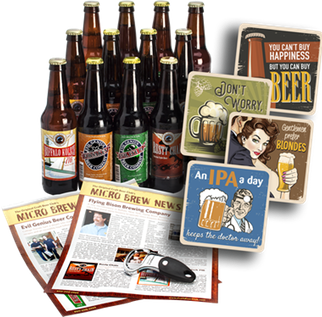 This is a fantastic gift for the Craft Beer enthusiast in your life. Give 1 to 12 shipments and receive up to 3 bonus gifts and an additional $25 bonus with your order. The story behind the beer, where it originated and what pairs with it. The best selection of premium craft beers you'll find from any beer of the month club. Choose Monthly, Every-Other-Month or Quarterly beer club shipments. Each monthly Craft Beer Club selection is produced by small-production, independent, artisan, craft brewers who use traditional brewing ingredients with creative techniques and time-honored brewing methods to create their brews. In each shipment we feature 2 different craft breweries - each located in different geographical regions, 4 different craft beer styles with three beers of each style. A few times during the year we feature cans so you can take your beer on the go. 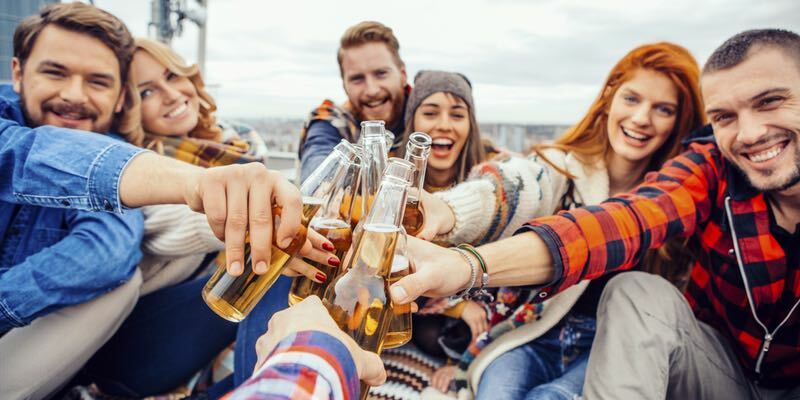 Each shipment includes 12 beers from among the best, micro-breweries in America, many of which have earned top awards for their signature brews. Our “Micro Brew News” newsletter accompanies each shipment so you can learn more about the featured craft brewery and the brewmasters. Check out the brewery's tasting notes and test your beer geekiness with beer trivia questions! There is NO membership fee. There is NO obligation to continue. You may cancel your membership or gift at anytime, for any reason. Your satisfaction is important to us! Beer lovers across the country are discovering the endless versatility when pairing world-class beer with delicious food. Craft beer has all the complexity and food compatibility needed to make any dish memorable. That's why our newsletter in each shipment includes awesome recipes to pair with that month's featured brews, many of which come straight from the featured craft breweries. Now is the perfect time to treat yourself, your family and friends to hard-to-find, outstanding brews from some of the best brewmasters in the country. Join or give a gift of our Craft Beer of the Month Club today!